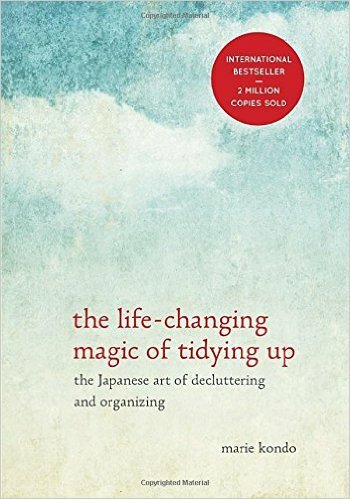 I read this book while preparing for a move, and I can’t express how much Kondo’s insights helped me purge my possessions and minimize my lifestyle. If you are surrounded by so many things that you don’t even know what you own or where to find it, this book is for you. Change your life. Get rid of excess. Then get rid of more. Then surround yourself with people and things that bring you joy. It’s worth it. Best advice: Don’t decide what to throw away, decide what to keep. Only keep things that spark joy, and get rid of everything else. Yes, everything. 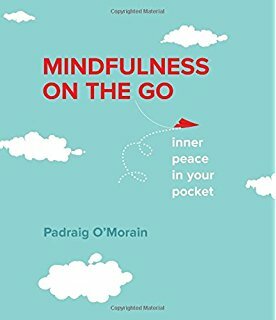 Great for keeping at your desk or in your bag, this little book can help you find opportunities for cultivating mindfulness at work, at home, on your commute, while waiting, while traveling, and before sleeping. Brief chapters explain why mindfulness helps with managing stress and anxiety while making room for creativity and thoughtfulness. The “on the go” exercises and quick tips are easy to incorporate anywhere, anytime. Spending even one minute focusing on your breathing can go a long way to improving your mind and mood. Speaking of your mind and mood—if you are the kind of person who really likes doing their homework, then this workbook is for you. It was created by clinicians over twenty years ago but is still being recommended by therapists today—and for good reason. 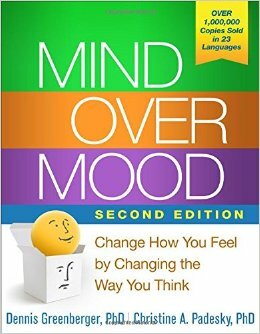 If you’re willing to take the time to read the lessons and do the exercises, you can create your very own DIY cognitive behavioral therapy practice, which I especially recommend if you are not going to therapy (and I’m the kind of person who will recommend therapy to everyone). 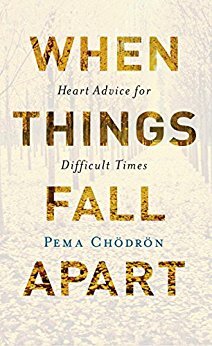 Let me take a moment to recommend every single book by Buddhist nun Pema Chödrön. I just think you should start with this one. Written in the wake of her divorce and subsequent spiritual journey, it basically answers the question I’ve been asking myself for months: How do I go on? With advice on acceptance, openness, and compassion—starting with compassion for yourself—this book forces you to look inward and evaluate your habitual patterns, attachments, and addictions so you can let go of your ego and your fixed ideas and learn how to simply be. Once you’ve learned how to be with yourself and reflect on your feelings, read this to learn how to communicate those feelings more openly and honestly in your relationships, at work, and with yourself. 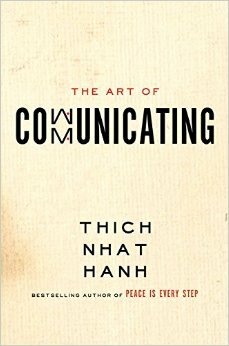 Buddhist monk Thich Nhat Hanh’s succinct, conversational tone makes his writing approachable and easy to digest. So even if Buddhism isn’t really your thing, the advice can guide you toward thinking, listening, speaking, and acting with understanding, kindness, and love.